Posterior view of the right levator scapulae. The trapezius is ghosted in. Permission Joseph E. Muscolino. 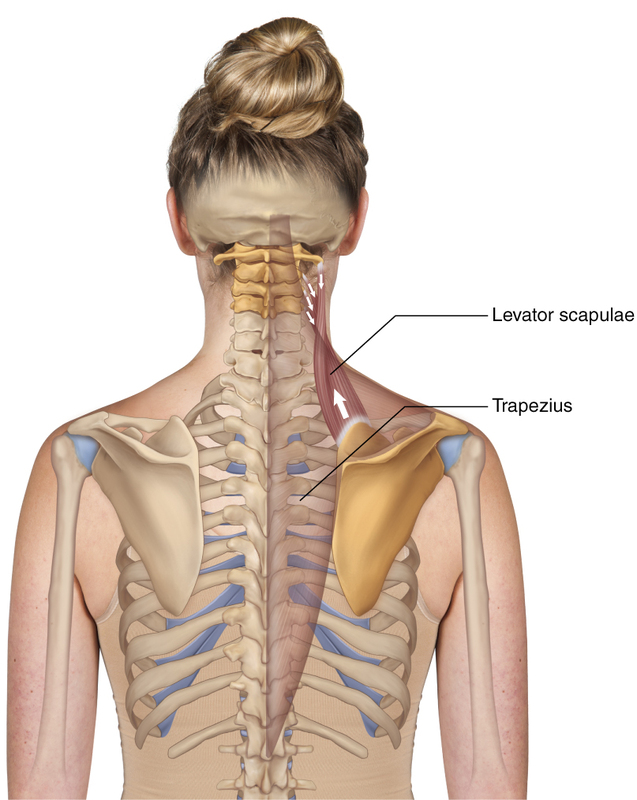 The levator scapulae attaches from the medial border of the scapula (from the root of the spine to the superior angle) to the transverse processes of C1-C4. There is a twist in the fibers of the levator scapulae so that the highest fibers from the scapula attach the lowest on the spine and vice versa.